You know how after you read Pride and Prejudice you were like, “I am never going to find a book so well written with such a meaningful love story but I’m still gonna try”? Well, stop looking! Before I go into reviewing the plot and characters and what have you, can we just talk about this cover. Ugh. So adorable! Okay, focus. So Major Pettigrew has just found out through a phone call from his insufferable sister-in-law that his brother passed when he hears a knock at his front door. Mrs. Ali – a widow who owns a tea shop Major Pettigrew frequents – immediately recognizes his distress and takes measures to calm him down. And in Britain this means tea. Thus begins a beautiful relationship. 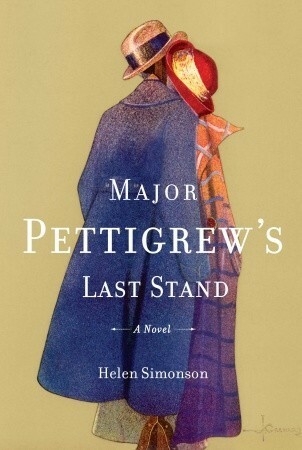 I am not going to go into the minor characters or the subplots except to say they only add to the complexity of the bond Mrs. Ali and Major Pettigrew share. There are so many forces pulling them apart – racism, age, colonialism, religion, family, class, etc. – but somehow their lives keep leading them to each other. And they see in each other what they need to get by in the world. Right? RIGHT?! You know how after reading Pride and Prejudice or watching the BBC version of the book girls all over the world were like, “I gotta find my Mr. Darcy?” Well, this will have all those girls who turned into ladies waiting for their Darcy wishing for a Major Pettigrew. I cannot recommend this book enough. And I realize that I may be talking this up so much that you might read it and be like, “Meh…it is not as great as she said,” in which case ignore everything I said and just read the book. It really is a treasure. 4.8 coffee cups out of five. It is not a five because I have some quibbles with what the author had Mrs. Ali do in certain situations, considering she is a Muslim woman (and I am too).